Lele is a bulls-eye target at her new school in Miami until, overnight, her digital fame catapults the girl with cheerleader looks, a seriously silly personality, and a self-deprecating funny bone into the popular crowd. Now she’s facing a whole new set of challenges—the relentless drama, the ruthless cliques, the unexpected internet celebrity—all while trying to keep her grades up and make her parents proud. 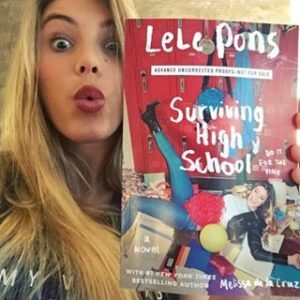 Filled with the zany enthusiasm that has made Lele into Vine’s most viewed star, this charming novel is proof that high school is a trip. From crushing your crushes (what’s up with that hot transfer student Alexei??) to throwing Insta-fake parties with your BFFs and moaning over homework (GAH) with your frenemies, high school is a rollercoaster of exhilarating highs and totally embarrassing lows. Leave it to Lele to reassure us that falling flat on your face is definitely not the end of the world. Fans of Mean Girls will love this fun and heartwarming fish-out-of-water story. Lele posted this picture in Twitter and Instagram about her high school transformation from sophomore to senior year. 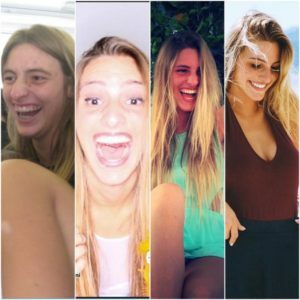 Lele Pons is the nineteen-year-old Vine phenomenon from Florida who recently reached ten million followers and 7.6 billion loops, making her the #1 most watched person on Vine. She has been nominated for three Teen Choice Awards, a People’s Choice Award, and a Streamy Award and featured in Vanity Fair, The New York Times, Teen Vogue, Time magazine, and more. In 2015, she was invited to the White House to create Vines to support the First Lady’s campaign for disadvantaged kids to go to college. Lele graduated from high school in 2015 and moved from Miami to LA. 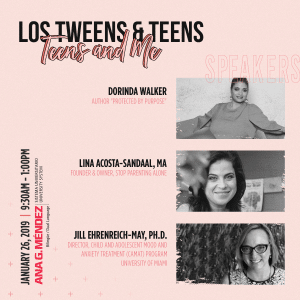 This entry was posted in For Teens, Parenting Teens, Senior Year & Prom and tagged books, high school, Lele Pons, teen books, vine. Bookmark the permalink.